State Senator Andy Dinniman recently announced that three municipalities in Chester County will receive more than $1.1 million in total funding for traffic control system safety upgrades. 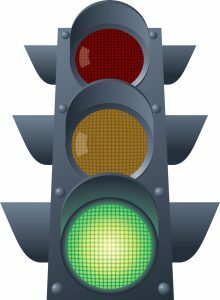 The grants come through PennDOT’s Green Light-Go Program, which reimburses municipalities for updates to improve the efficiency and operation of existing traffic signals. $237,336 for Schuylkill Township for interconnection of traffic signals along Pothouse Road and Whitehorse Road. $688,000 for West Chester Borough for installation of radio communications and modernization of traffic signal controllers to 23 traffic signals in the borough with a connection to the PennDOT District 6 Regional Traffic Management Center via trunk fiber connection along US Route 202. $246,320 for Willistown Township to install fiber optic communications between six signals along Lancaster Avenue (U.S. Route 30). Made possible by Act 89, the state’s comprehensive transportation funding plan. Green Light-Go Program funds may be utilized for a range of operational improvements including, but not limited to: light-emitting diode (LED) technology installation, traffic signal retiming, developing special event plans and monitoring traffic signals, as well as upgrading traffic signals to the latest technologies. Funding for the Chester County projects comes as part of $31 million in total Green Light-Go funding for traffic signal upgrades in 70 municipalities statewide through the program’s fourth round of funding.